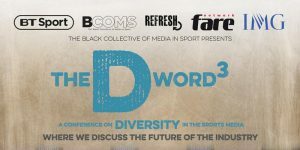 On Monday 8 October, our friends at the network BCOMS held #DWORD3 – their third conference on diversity and inclusion in the sports media industry. Read our review of the event here. #DWORD3 again brought together senior leaders, professionals and aspiring sports journalists to discuss our working environments, and how welcoming and accessible they are to individuals from different social groups and demographics. The previous DWORD conference in 2016 provided extensive and useful research on BAME and female representation in sports media roles. 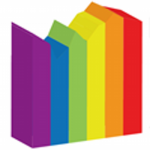 For 2018, Sports Media LGBT+ assisted organisers by providing additional research, in order to gain a better understanding of the positive impact of LGBT inclusion in our industry, and where there may be ongoing challenges. You can access and take our ongoing survey below, or scroll down for some additional background information, statistics, and a link to open the survey in a new window, if you prefer. There are known benefits of LGBT+ inclusion on workplace culture – it’s widely accepted that “people perform better when they can be themselves” (George Alabaster, B2B Marketing Executive, Stonewall: ‘Top 10 tips for LGBT inclusion in the workplace’, January 2018). However, there are relatively few openly LGBT+ professionals across the sports media industry, reflecting the fact that this diversity strand is less visible than others that will be discussed at #DWORD3. • In addition, overall data related to the UK sports media industry shows it is still very male-driven, e.g. only 12 out of 143 written media roles across major sporting events in summer 2016 were given to women (8.4%); only one woman out of 51 in major newspaper reporting role at Euro 2016 (1.2%) (BCOMS, 2016). Anyone can answer our survey, but we are especially keen to get responses from those who are working, or have worked, in the UK sports media industry. Naturally, contributions from those in our industry who identify as LGBT+ are particularly valuable, in order to accurately reflect this part of the wider inclusion picture. Responses will only be utilised for the purposes as described in the survey introduction. Please contact us at info@sportsmedialgbt.com if you have any further questions, or if you’d like to join our mailing list. This entry was posted in Network News. Bookmark the permalink.